Asianet Film Awards 2016 Winners , 18th Asianet Film Awards Complete List Can Be Read From keralatv.in, we will publish the full winners list here. We have Published here about the upcoming mega event Asianet Film Awards 2016. Its supposed to be on 7th February 2016, Kochi will be the venue for 2016 Asianet Film Awards. There is no live coverage of the same, Asianet will telecast the awards function later. Once we get the winners details we will update the same here. Every year keralatv.in updating each and every details of Asianet film awards. One of the major change in 2016 Asianet awards is the title sponsor change. 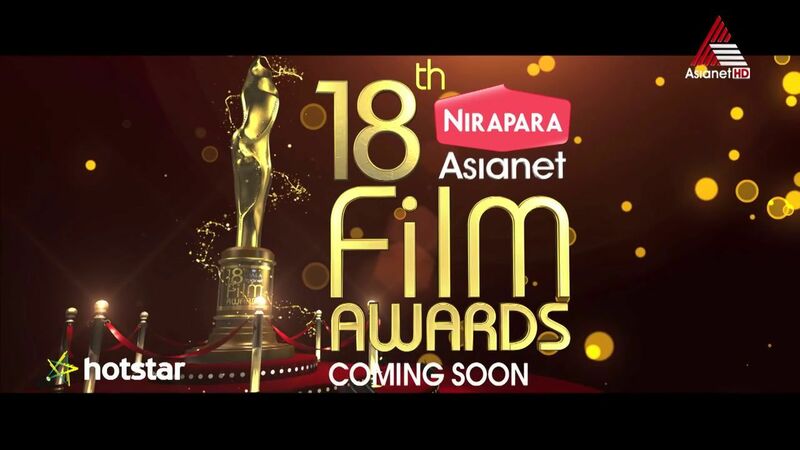 This time Nirapara will be the title sponsor of Asianet Film Awards 2016. Asianet Film Awards 2016 Winners images, event gallery, telecast date and time etc will be published on keralatv.in. There are lot of categories in the Asianet Film Awards. Mega Star Mammootty bagged the Best actor award last year, who will win this year’s best actor awards ?. There will be tough competition for the best actor, actress awards. Ennu Ninte Moideen, Premam etc are some of the biggest hits of last year. these films may get some popular awards. Asianet Film Awards 2016 Winners list can be read from here, once its announced.